LAKE PLACID, N.Y. – Once in a generation, skating’s legends turn the ice to gold. Olympic Champion Kristi Yamaguchi and Olympic silver medalist Paul Wylie celebrate the 25thanniversary of their Stars on Ice debut during a special one-night only, Dec. 30, Stars on IceLegends show in Lake Placid, N.Y.
Yamaguchi and Wylie will share the Olympic Center ice with many of their closest friends and some of the tour’s most memorable and popular skaters ever to grace the ice through the years. The 7:30 p.m. celebration includes 2014 Olympic Ice Dance Gold Medalists Meryl Davis & Charlie White and World Champions Todd Eldredge, Kimmie Meissner and Yuka Sato also return for this special celebration. The star-studded cast also includes four-time U.S. men’s champion Jeremy Abbott, 2011 U.S. men’s national champion Ryan Bradley and 2008 U.S. Championship ice dancing bronze medalists Kim Navarro and Brent Bommentre. Stars on Ice continues to be a pioneer in figure skating by offering fans the rare opportunity to witness some of America’s most creative and cherished champions performing together in both individual and ensemble routines. Stars on Ice is one of the premier family entertainment events in the U.S., and the only figure skating Tour in America, bringing you the greatest performances and competitors from around the globe. 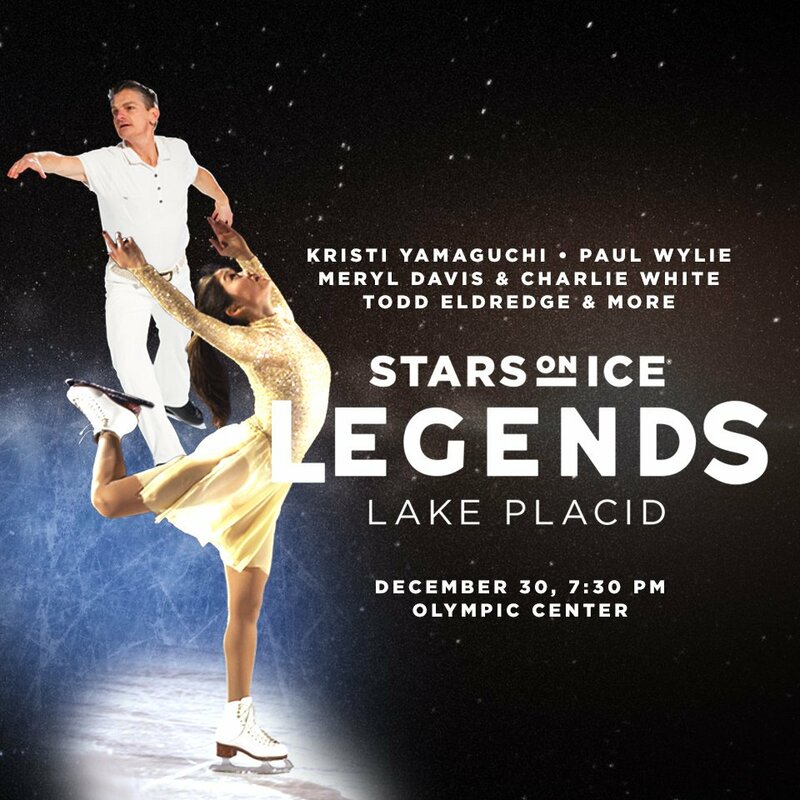 Tickets for Stars on Ice Legends in Lake Placid go on sale Monday, November 27th. Special on-ice seating is available upon request. Tickets start at $25 and are available through www.WhitefaceLakePlacid.com, by phone at 518-523-3330 and at the Olympic Center Box Office. Group discounts are available for parties of 10 or more. Please visit www.starsonice.com for more information.